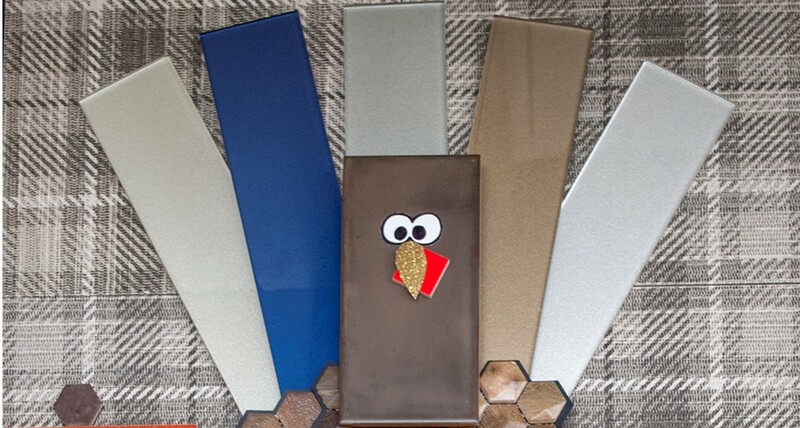 Meet Tom, the Tile Turkey! I hope everyone had a great Halloween! I think I’m still coming down from my sugar high, only to roll it right into a food coma at the end of the month. Oh, Turkey day. My plate usually consists of 75% mashed potatoes with butter and a little gravy, 15% cranberry sauce (jelly kind, of course! If it doesn’t have the ridges of the can, I don’t want it), 7% stuffing with gravy, and 3% turkey with some crispy skin. I’m not a huge turkey fan… (I can hear the gasps already) it’s never been my thing! I’d much rather have a lobster or crispy duck on Thanksgiving. There has got to be someone that can relate to me?! Maybe the turkeys?? Ha. 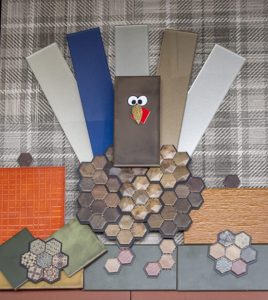 I wish you all a very Happy Thanksgiving!